Fires last year at Port Metro Vancouver and on board a boat in False Creek highlight the need for firefighting vessels in a large port city. 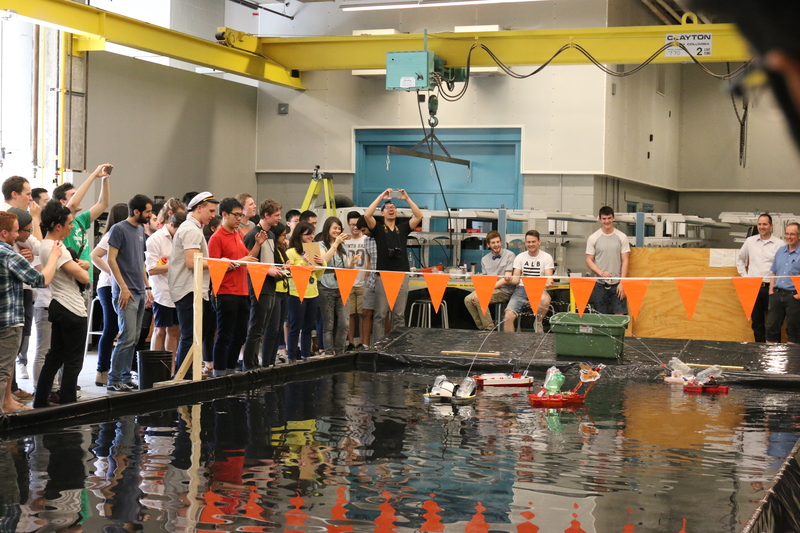 For their final design project, this year’s Mech 2 students were therefore challenged to create remote-controlled boats that could move quickly, navigate obstacles, carry cargo and deliver water to fires using water cannons. Each fireboat was required to cross the water and use a custom-designed water cannon to put out a fire. 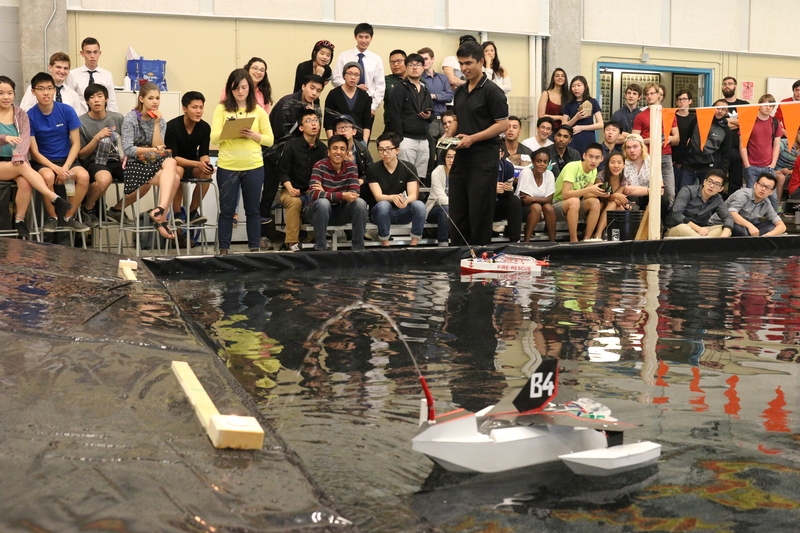 Twenty boats, each designed, built, and operated by a team of second-year Mechanical Engineering students, competed in a series of challenges on April 20th. 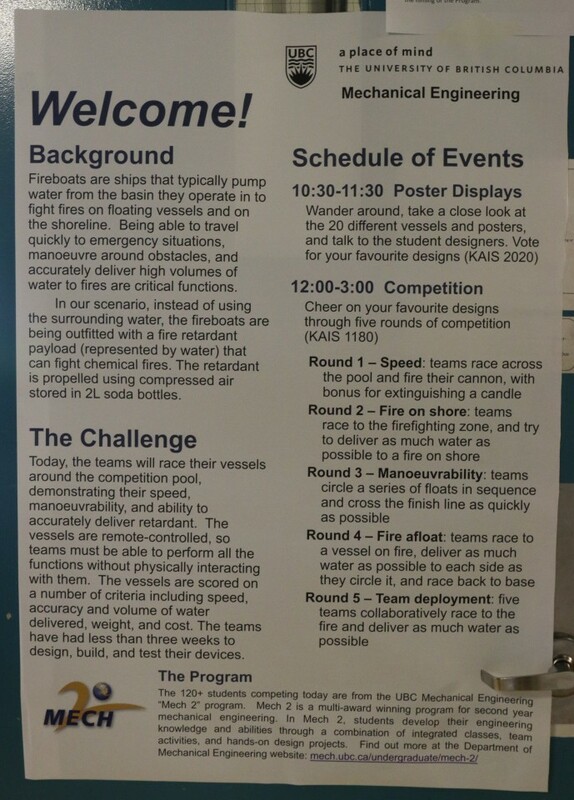 The first round tested speed; the second, success at extinguishing a hypothetical fire on shore; third, maneuverability; fourth, success at extinguishing a fire on a floating vessel; and finally fifth, the ability to work with other teams to collaboratively extinguish a fire. The competition received media coverage from Roundhouse Radio and 24 hrs.